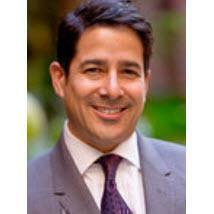 Anthony M. Solis has been dedicated to federal and state criminal defense since he began practicing in 1998. He represents individuals and entities charged with criminal offenses in state and federal trial and appeals courts and in numerous types of administrative hearings. Mr. Solis represents those charged with all manner of criminal conduct from misdemeanor traffic offenses to complex felony federal charges and appeals at the state and federal level. Mr. Solis has an outstanding reputation that has earned him the respect of judges, prosecutors, and co-counsel. This reputation derives from his commitment to the highest ethical standards, aggressive defense and attention to detail on each and every case. This produces excellent results for his clients. Mr. Solis has extensive trial experience in both state and federal court and has argued cases before the California and Ninth Circuit Court of Appeal.